If the rabbit does not come forward for its food at feeding time, there could be a problem. Check the water bottle to see if it is working properly, rabbits will not eat if they don’t have access to water. Bottles can get clogged or jammed. Next take the rabbit out and see if there is any obvious problem. If not leave for an hour or two and then check again. If it has not eaten anything particularly its greens, it could have Bloat (a very tight stomach). 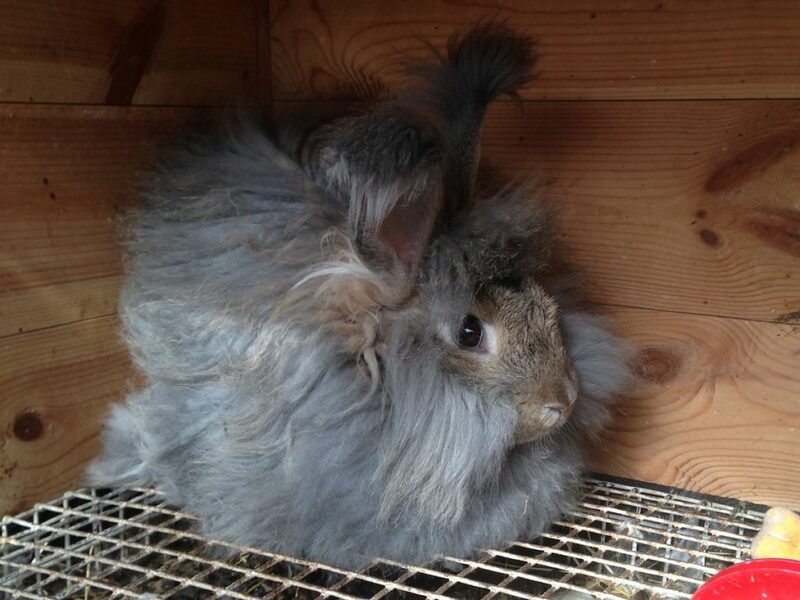 For additional guidance and help see other posts on angora rabbit illnesses. Posted 09/04/2018 by SM & filed under Angora Welfare.